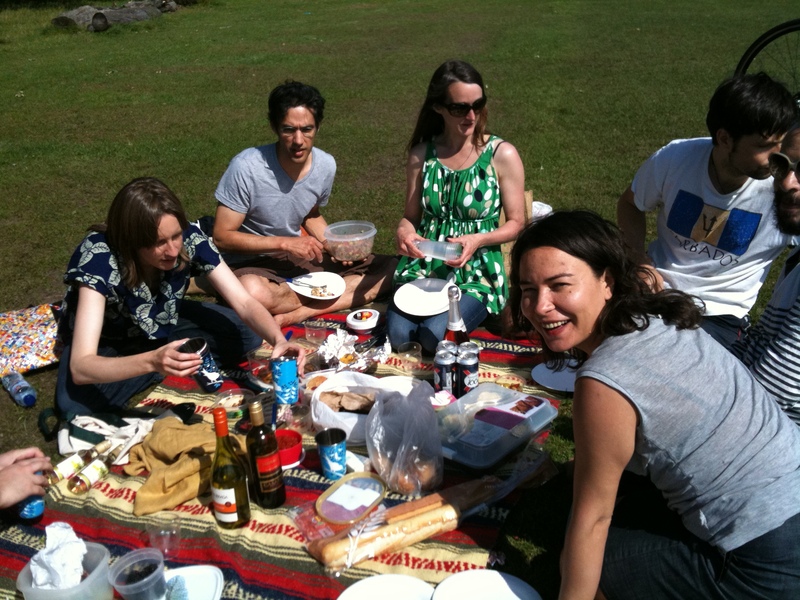 To celebrate the successful soft launch of Makerhood Brixton last week, more than a dozen members of the Makerhood team, makers and their friends gathered for a picnic in Brockwell Park. Unlike last weekend (and most of the summer so far), the weather was kind – an emergency supply of sunscreen had to be delivered! After the drinking and eating (including delicious cupcakes from Carly of Picakes), the spirit of competition reared its head during the Viking game. The rules are too complicated to explain here (or even there), but it involves two teams throwing wooden sticks at wooden blocks. If you couldn’t make the picnic, don’t forget the next get-together at the Dogstar on Thursday at 7pm! 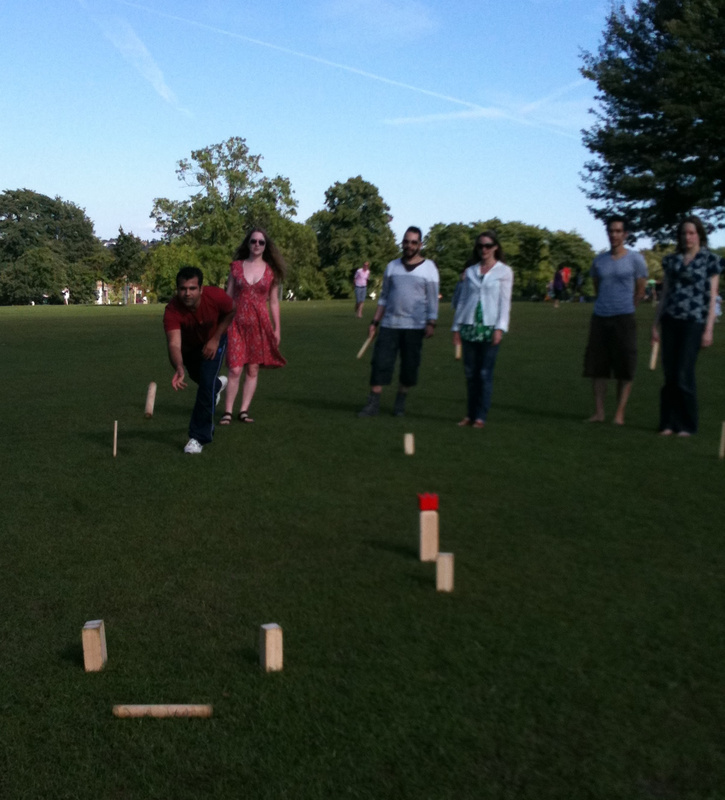 sadly had a prior picnic booked this weekend and away at the cambridge folk festival this thursday. however should be able to make the last thursday in august. a bit of social after all the hard work from the team setting things up much, much deserved i am certain! It was a lot of fun indeed, and good to relax after all the hard work…gearing up for “full launch” now in September, woo.